John Patrick Salamone left a wife and three young children (Alex, 6, Aidan, 4, and Anna, 3) when he died on September 11, 2001. A preferred stock broker with Cantor Fitzgerald, Salamone, was on the 104th floor of the north tower when the hijacked plane (American Airlines Flight 11) crashed into the northern facade between the 93rd and 99th floors at 8:46 am. The tower burned for 102 minutes before collapsing at 10:28 a.m. The damage to the tower destroyed all means of escape (stairwells and elevator) from the point of impact and above, leaving Salamone stranded. He was 37 years old. Born on January 25, 1964, John Patrick Salamone grew up in Fairfield, New Jersey and graduated from West Essex Regional High School. After graduating with a B.A. from Oglethorpe University in Atlanta, Georgia, Salamone earned an MBA from Fordham University. He worked at Shearson Lehman Brothers, Kidder Peabody, and Quick and Reilly before joining Cantor Fitzgerald in 1998. A talented and avid soccer player (a three-year letterman at West Essex, team captain at Oglethorpe, twice selected for the all South team), Salamone was inducted into the Oglethorpe University Sports Hall of Fame, but more importantly began coaching his son’s, Alex’s soccer team in 2001. Married to Mary Ellen Salamone for ten years, John Patrick Salamone was by all accounts a devoted family man who loved his family more than all else. 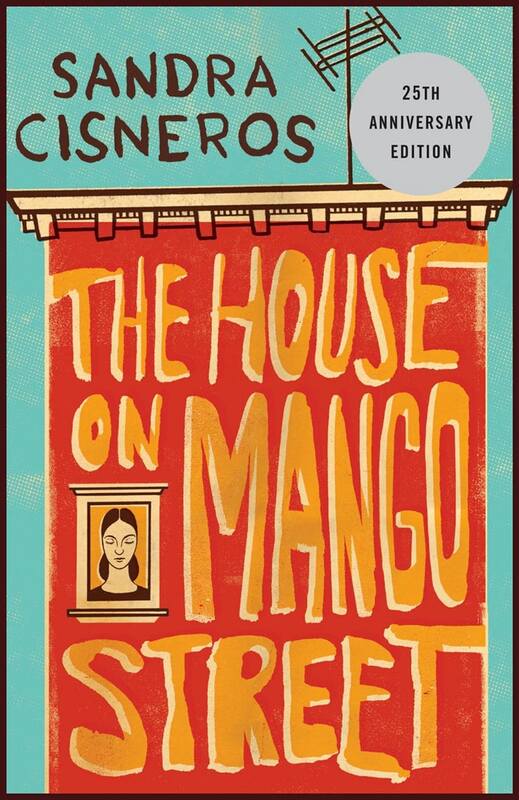 Today, he and Mary Ellen’s children are 19, 17, and 16 years old. 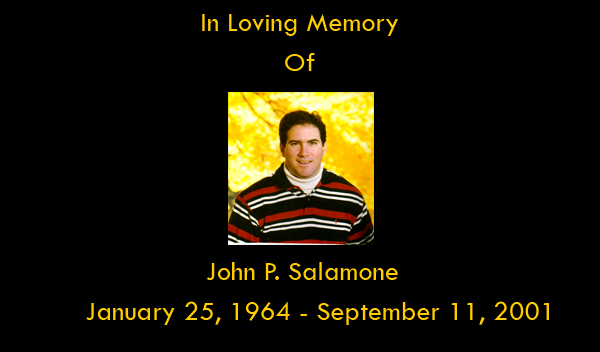 To memorialize and perpetuate the life and legacy of John Patrick Salamone, the John P Salamone Memorial Foundation (www.salamonefoundation.org) was established by his family and the friends who knew and loved him.